Slovakia stunned World Cup winners Germany with an impressive 3-1 win in a Euro 2016 warm-up almost washed out by heavy rain. Mario Gomez had given the hosts the lead from the penalty spot in a rain-swept Augsburg, but Slovakia captain Marek Hamsik and Michal Duris turned the international friendly on its head before a storm struck. A delay to the start of the second half because of the weather failed to knock the Slovakians off their stride and Juraj Kucka added a third to give Germany coach Joachim Low plenty to ponder before he names his 23-man squad for next month's tournament in France. Having beaten Georgia by the same scoreline on Friday, Slovakia are now on a seven-game unbeaten run heading into their final pre-Euro 2016 friendly against Northern Ireland next Saturday. 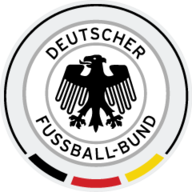 Germany took the lead in the 13th minute of their penultimate warm-up fixture before when Gomez converted from the penalty spot after AC Milan's Kucka fouled Bayern Munich's Mario Gotze inside the penalty area. Low's men appeared to be in control of proceedings with Leroy Sane going agonisingly close to his first senior goal for Germany on the half-hour mark, before the world champions took their foot off the pedal just before half-time. They were punished by two goals in three minutes with Hamsik first sending a fine 25-yard effort into the top corner of Bernd Leno's goal and then Duris heading in Vladimir Weiss' cross. Low's expression on the touchline switched as he stormed into the dressing room at half-time. He did not emerge 15 minutes later, though, as a storm threatened a return to action, the referee keeping the teams in the dressing room for over half an hour. Play finally resumed, although the conditions almost made a farce of a friendly both coaches were using to sharpen their focus ahead of Tuesday night's deadline to submit their final squad selections. Joshua Kimmich, Julian Brandt, Leno and Julian Weigl had little opportunity to stake their claims for a place in Low's final squad, although Sane is likely to have secured his place having been Germany's most dangerous outlet on an otherwise damp and disappointing night in Bavaria. Slovakia's third summed up Germany's misery as Kucka's volley went through substitute goalkeeper Marc-Andre ter Stegen's legs in the 52nd minute. Hamsik nearly added a fourth as Germany before Gotze had the final chance of the game, firing wide of the far post.